Now STAR OFF MACHINE needs your help for the releasing new album. STAR OFF MACHINE is an alternative rock band based out of Huntington Beach, California and formed in 2007. In 2011, under the guidance of producer Wesley Geer (HedPe, Korn), they entered the “Village Recorder” in Los Angeles to begin work on their new project, WAKE ME UP. With all the stars aligned, they were able to make a record worthy of their aspirations and to do all that out of their own pocket. They were also lucky enough to branch out into the world of film, and given the opportunity to write an original title track for the release of ONCE I WAS A CHAMPION (The story of UFC Champion fighter Evan Tanner). See the official trailer here: http://www.youtube.com/watch?v=ufCwtz-vjIg The track will be included on WAKE ME UP, and they intend to shoot a video that will be part of the DVD release for the film. When they started this project, they had all the funding necessary to complete it in its entirety. During the recording process, one of their band members needed emergency surgery. Since they prefer all their band members to be alive…a substantial amount of hard earned money was spent to make sure that happened. Now that they all are in good health, they want to release and distribute the album and complete the music video. All the donations collected from Kickstarter are to be used to accomplish these goals and help promote the new album to the best of their abilities. If they don't reach their goal, they will receive nothing and everyone will be sad. Please help STAR OFF MACHINE now for reaching their goal. They have a number of different "reward" levels for your donations. Check out more details on Kickstarter. 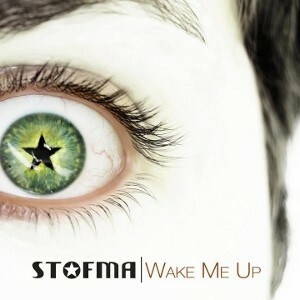 "WAKE ME UP" is now available to hear STAR OFF MACHINE website.